Continuing our mental health series, Georgina Rychner explores insanity in trials for infanticide in late nineteenth-century Victoria. In the late nineteenth century, a woman charged with murder in Victoria was most likely to be charged with the killing of an infant. Between 1880 and 1914, police gazettes reveal that 614 infants were found dead in and around the city of Melbourne, and an average of 24 women were charged with the crime annually. Historians such as Barbara Burton remind us that statistics for crimes such as infanticide are shadowed by ‘the dark figure’ of unreported incidences lost to the record. Reported instances of infanticide certainly outweighed the number of women charged. In the first instance it was hard for police to identify mothers, and even where the mother was identified, police and coroners faced difficulties distinguishing cases of murder from those of death by exposure. Infanticide came under the offence of murder, which carried a penalty of death. At trial jurors were unwilling or unable to convict such women for murder, often opting for the lesser charge of abandonment or concealment of birth. In the last decades of the nineteenth century, the crime of infanticide became a point of public anxiety. Colonists viewed infant murder as an abhorrent practice associated with ‘uncivilised’ societies of the East, its extent in the Australian colonies undermining their status as a nation of transplanted British values. A decline in the Australian birthrate heightened fears regarding race degeneration, and prompted Victoria’s government to put measures in place protect all human life, including illegitimate newborns. 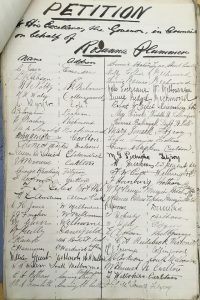 As a result, legislative measures such as the Infant Life Protection Act in 1890 and the Commonwealth Maternity Allowance Bill in 1912 were introduced. 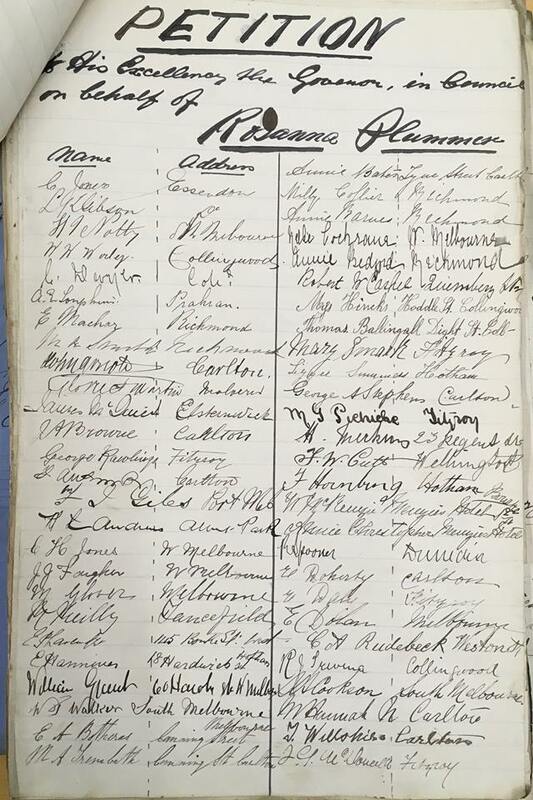 A petition for the mercy of Rosanna Plummer, convicted for infanticide in 1884. Image author’s own. Newspaper editorials scorned the anonymous ‘murderesses’ who killed their children, yet once a female offender was on trial, colonists found difficulty in reconciling violent actions with Victorian notions of femininity. Defendants were examined in the dock; the details of their past made public. Where an infanticidal mother held demonstrably feminine qualities (a history of domestic employment, attractive features), colonists were quick to believe that she was incapable of killing, determining instead that she must have been temporarily insane at the time of the murder. Women who were older, less ‘feminine’ and had histories of drinking or prostitution were considered ‘cold and cruel’ creatures who had lost their womanhood. It followed that these women were killers with full criminal responsibility. Asylum committal records suggest that colonists knew of the traditional link between female insanity and childbirth, long established in medical science and perpetuated by Victorian doctors. Symptoms in mothers such as low spirits, a disinterest in their newborns, and violent impulses were attributed to the illness known as puerperal mania. This medical diagnosis could serve to pathologise behaviour that fell short of a Victorian standard for maternity. Similarly, colonial ideas of insanity regarding criminal mothers were largely informed by Victorian notions of femininity and criminality. What is interesting is how public opinions of insanity diverged from medical opinion in trials for infanticide. The most extreme example of this divergence is found in the case of Rosanna Plummer in 1884. Eighteen years old and the daughter of ‘respectable’ farmers in Benalla, Rosanna had been intimate with a boy living on a neighbouring property. She gave birth to her male child in a receiving house near Flagstaff gardens, and thirteen days later smothered the infant in the ladies’ room of Spencer Street railway station (now Southern Cross). A waiting room caretaker saw the young woman emerge from the bathroom without her infant. She asked Rosanna where her baby was, to which Rosanna replied ‘a friend of mine has taken the baby.’ The caretaker became suspicious. She asked whether her friend would return in time for the next train. ‘I’m not at all afraid of that,’ Rosanna replied. ‘She is a good friend of mine.’ Later that day, the corpse of Rosanna’s child would roll out of her carpet bag and ensure her arrest for murder. At her trial, Rosanna’s defence submitted a plea of insanity. Doctors who testified at her trial were cautious in their estimations of puerperal mania, framing their language according to the M’Naghten rules—the legal test used to determine insanity. Though Rosanna had been ill with bronchitis directly after the birth, neither could confirm nor deny that she had been temporarily insane at the time of the crime. The jury found this defence unconvincing and returned a guilty verdict. 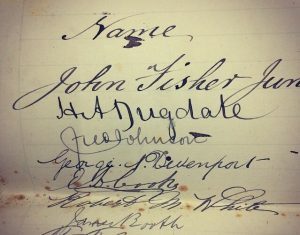 The signature of Henrietta Dugdale on a petition for Rosanna Plummer’s mercy in 1884. Image author’s own. In addition to these sworn statements, a petition organized by several benevolent women in South Yarra amassed some 16,000 signatures for Rosanna’s mercy on the grounds of her temporary insanity. Through the discourse of madness, some women consciously supported Rosanna in what they recognized as a situation determined by the inability to regulate reproduction. 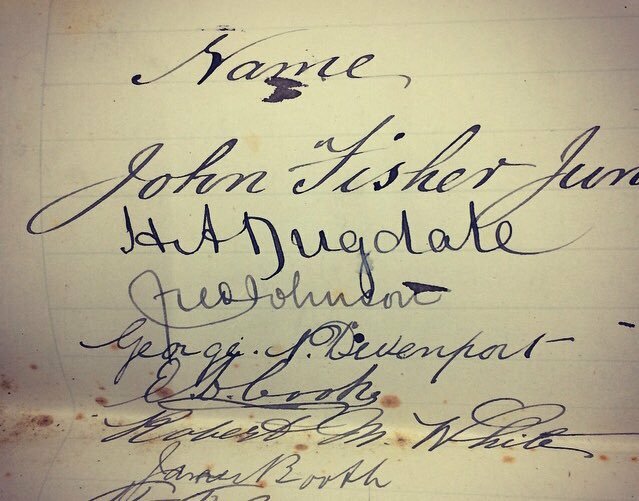 The signatures of Vida Goldstein and Henrietta Dugdale, women who would later become well-known suffragists, can be found inconspicuously amongst the thousands of names in these petitions. Goldstein would later play a central role in securing mercy for Margaret Heffernan, tried for infanticide in 1900, by arguing that she had been temporarily insane. On the basis of the thirteen affidavits and the extensive petitions, the Executive Council granted Rosanna Plummer a free pardon. The extreme leniency of the Council’s decision shocked the city, and public support gave way to disillusionment as colonists realised a woman who had killed her child was to escape any form of punishment at all. Though the subsequent infanticide trials of the period would never see the fervour or leniency that Rosanna’s case did, medical and public claims of insanity would determine the course of many. Some colonists would have consciously used the claim of insanity to save women such as Rosanna from capital punishment, and there were some women who used insanity to protest State sanctions on reproductive crime. Georgina Rychner is a PhD candidate at Monash University, researching insanity and criminal responsibility in Victorian capital trials. Her interests include histories of medicine, gender and law. 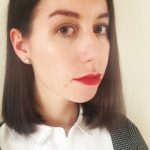 Her research on insanity and infanticide has appeared in Lilith: A Feminist History Journal, and will feature in the forthcoming edited collection ‘Infanticide/Mothers Who Kill’ (Demeter Press, 2019).